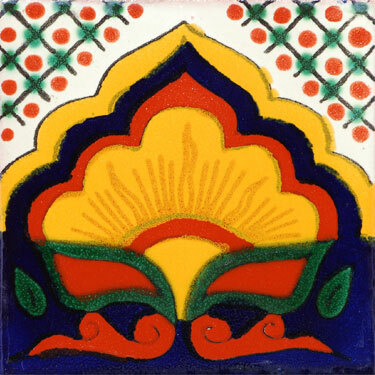 With This gorgeous Amanecer Cenefa Mexican Talavera tile you can create colorful and vibrant scenes in your kitchen, backsplash, countertop, giving that special touch that only Mexican traditional tiles can give. Select different designs of our Mexican Talavera Tiles collection to suit your personal style. The limitation is your imagination.